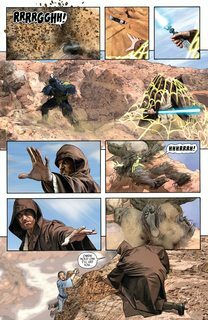 Star Wars Vol. 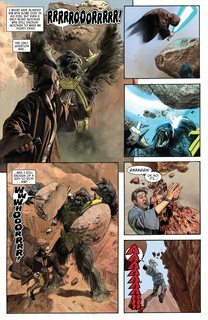 4 – Last Flight of the Harbinger (TPB) (2017) : Marvel’s epic exploration of the Star Wars galaxy continues! 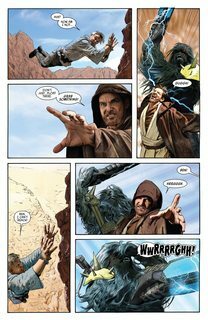 First, take another dive into the journal of Obi-Wan Kenobi! Jabba the Hutt has a problem, and he’s hired the Wookiee bounty hunter Black Krrsantan to find out exactly who’s been thwarting his men! A certain old hermit of the dune wastes might know a little something about that… Then, take a walk on the Dark Side with Sgt. Kreel and an elite group of Imperial soldiers aboard the Star Destroyer Harbinger! It’s a nigh-indestructible weapon of war. But it’s also the target of the Rebels’ new top-secret plan. Never afraid of defying the odds, Luke Skywalker, Han Solo and Leia Organa are determined to make this the last flight of the Harbinger! COLLECTING: STAR WARS #20-25.